Gathering and analyzing data helps organizations make intelligent decisions about their IT infrastructure. You may need a data collection device (DCD) to collect BIG-IP data so you can manage that device with BIG-IQ. BIG-IQ is a platform that manages your devices and the services they deliver. Let’s look at how to discover and add a data collection device in BIG-IQ v5.2. 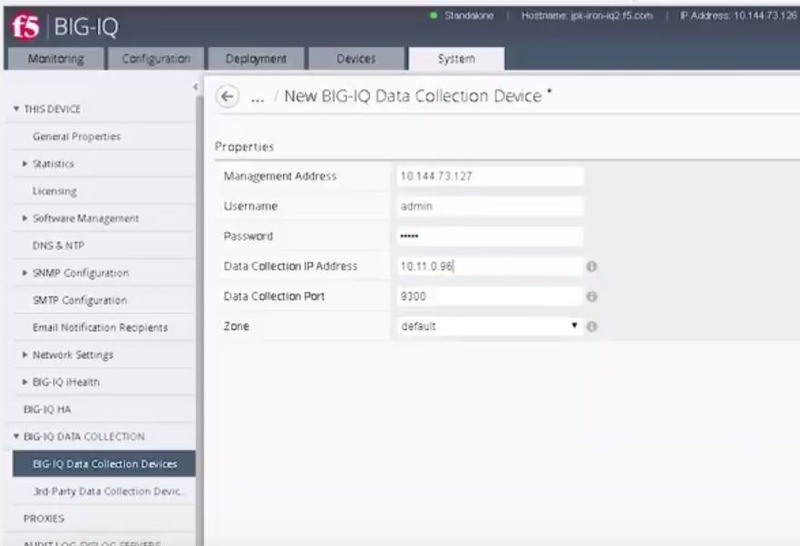 You can add a new data collection device to your BIG-IQ cluster so that you can start managing it using the BIG-IP device data. In addition to Event and Alert Log data, you can view and manage statistical data for your devices. 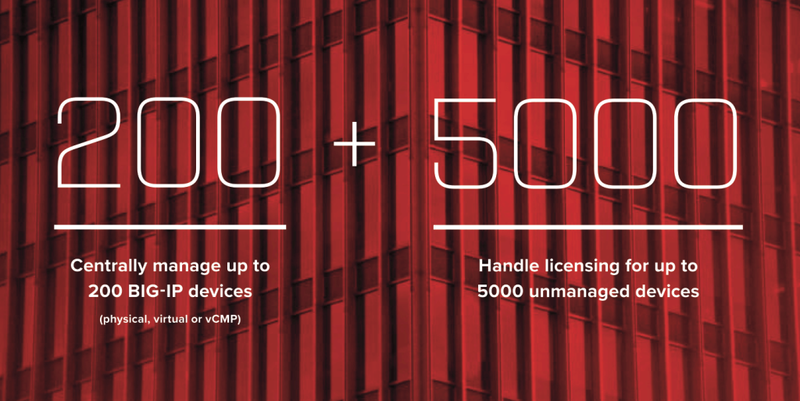 From licensing to policies, traffic to security, you’ll see it all from a single pane of glass. But you need a DCD to do that. 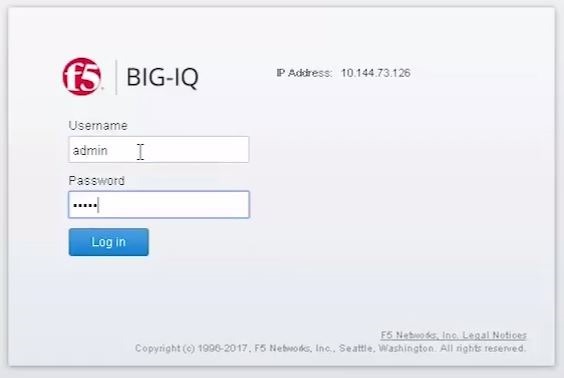 So, we start by logging in to a BIG-IQ. Then, under the System tab, go to BIG-IQ Data Collection and under that, click BIG-IQ Data Collection Devices. The current DCD screen shows no devices in this cluster. To add a DCD, click Add. This brings us to the DCD Properties screen. For Management Address field, we add the management IP address of the BIG-IP/DCD we want to manage. We’ll then add the Admin username and password for the device. For Data Collection IP Address, we put the transport address which is usually the internal Self-IP address of the DCD and click Add. The process can take a little while as the BIG-IQ authenticates with the BIG-IQ DCD and adds it to the BIG-IQ configuration. But once complete, you can see the devices has been added successfully. Now you’ll notice that the DCD has been added but there are no Services at this point. To add Services, click Add Services. In this instance, we’re managing a BIG-IP with multiple services including Access Policies so we’re going to activate the Access services. The listener address already has the management address of the DCD populated so we’ll simply click Activate. Once activated, you can see that it is Active. When we go back to the Data Collection Devices page, we can see that the Access Services have been added and the activation worked. Congrats! You’ve added a Data Collection Device! 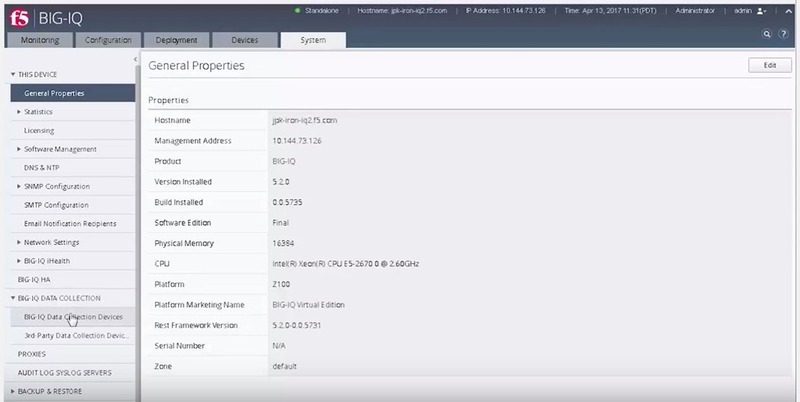 You can also watch a video demo of How to Add a data collection device to your BIG-IQ cluster. Lightboard Lesson: What is BIG-IQ?